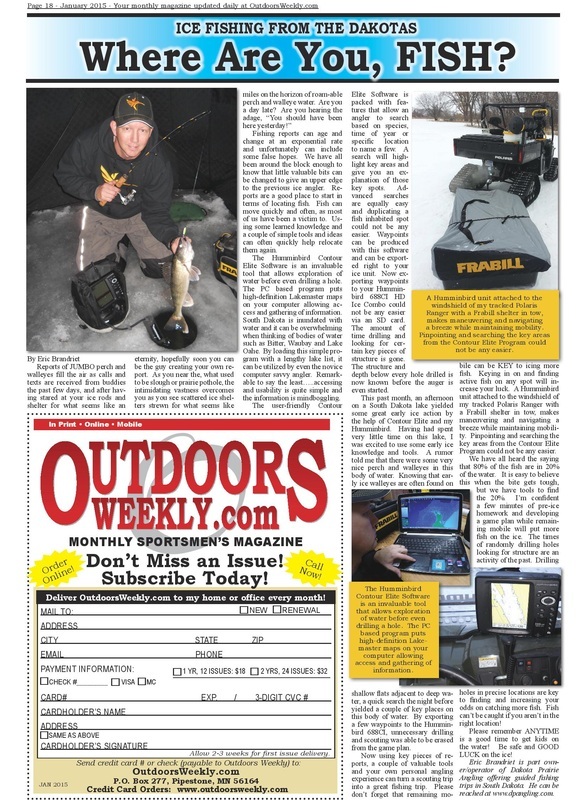 Outdoors Weekly - From the Dakotas Special Section - "Depth Finder to Fish Finder"
Outdoors Weekly - Ice Fishing from the Dakotas - "Where Are You, Fish?" 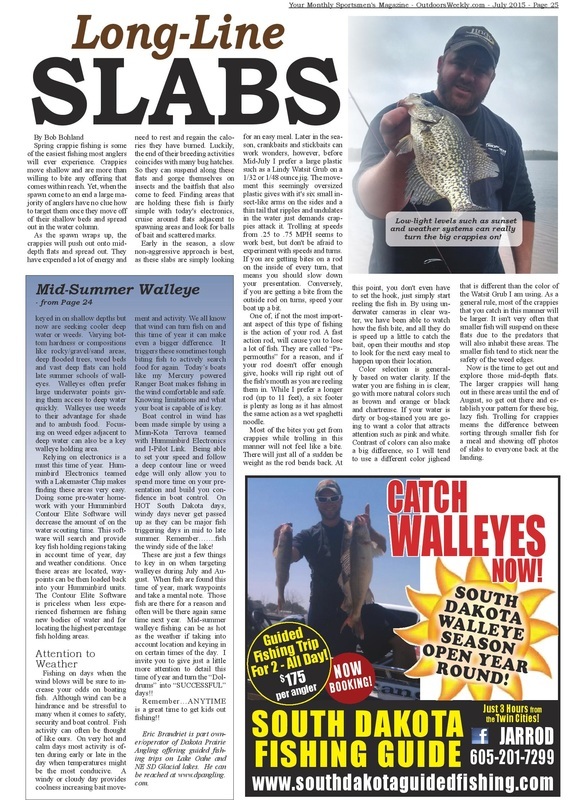 Outdoors Weekly - The Fish are Waiting...Are You Ready? 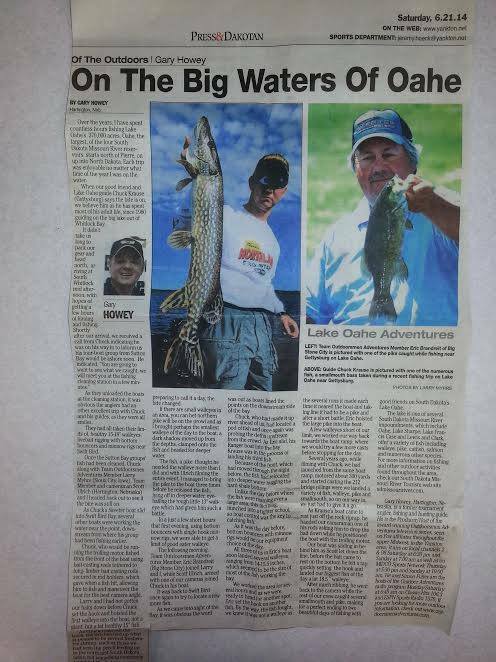 FROM THE DAKOTAS - Stay Aggressive to find the "Little Giants"
Don't Forget About the "EYES" When Thinking Protection While Fishing!!! Whether hitting the ice or open water, protection from the elements is always a concern and often protective clothing and sunscreen are the two first things that come to mind. Eye Protection is sometimes not a major concern but over time, ultraviolet (UV) light can cause permanent loss of vision by damaging the retina. 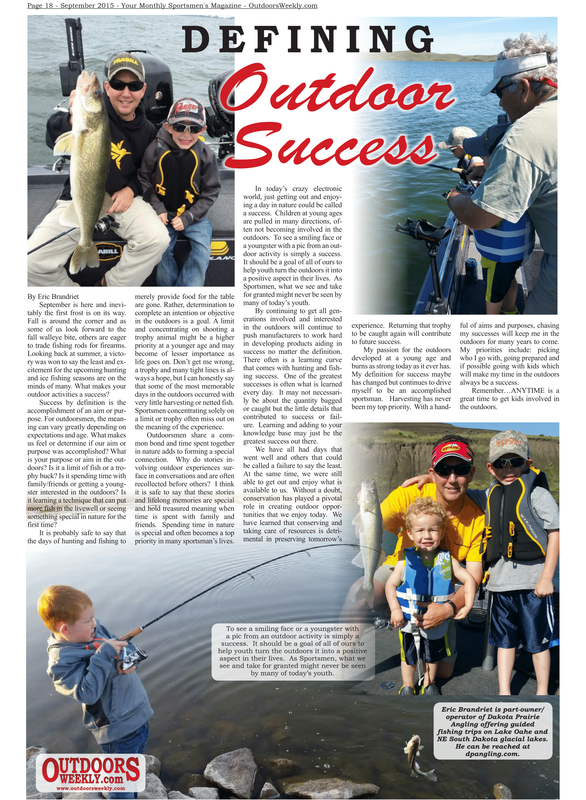 Wearing POLARIZED sunglasses while fishing year round will prevent this damage. 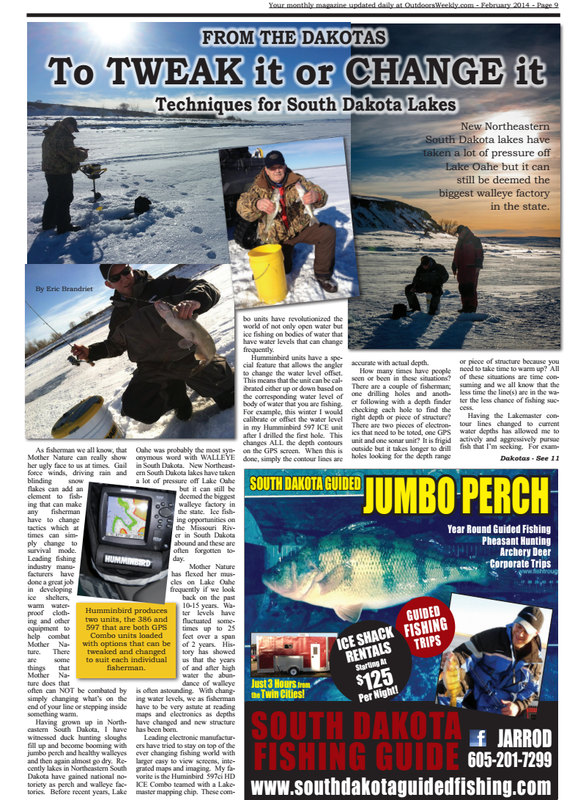 I have wore many brands and style of polarized sunglasses over the years both ice-fishing and while on open water. A couple of years ago, I started wearing GUIDELINE EYEGEAR (http://www.glpolarized.com/GEW/index.html) polarized eyeglasses and they remain my favorite for a few different reasons. 1. Guideline Eyegear glasses are 100% polarized and they offer the best protection possible. Wearing them, you know your eyes are protected and damage will be prevented. 2. We have all wore glasses that after a couple of hours either your nose, ears or other parts of your face are sore. After wearing these glasses for long periods of time, my face feels the same as if I just put them on. In fact, I get so used to wearing them that I often forget I have them on. 3. 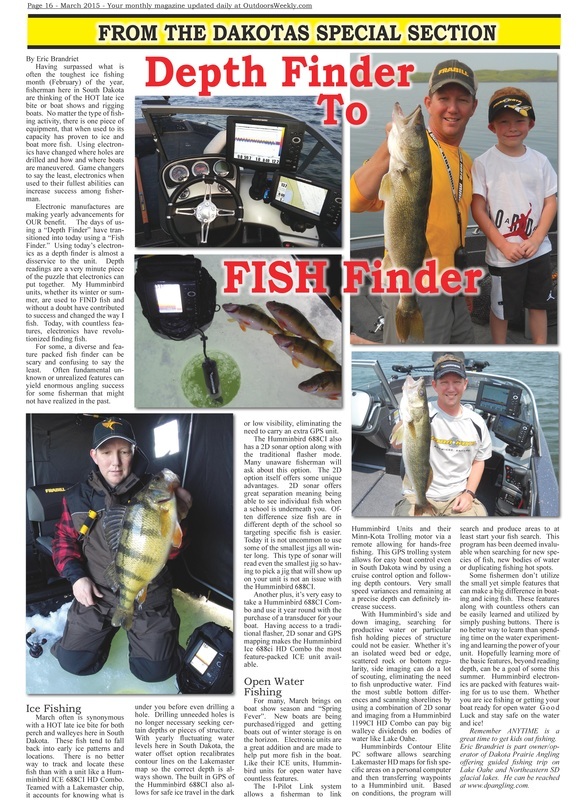 Fishing can be a BUSY activity with a lot of equipment! I rely on good quality products and Guideline Eyegear has never disappointed me. The glasses are durable, tough and made of quality materials unlike others. Beyond that, they are affordable unlike many others. 4. Finally, Guideline Eyegear polarized sunglasses look great! We all want to wear glasses that look good and Guideline has a full line of different style and colors. I have a few different pairs, so I can change up what I wear. 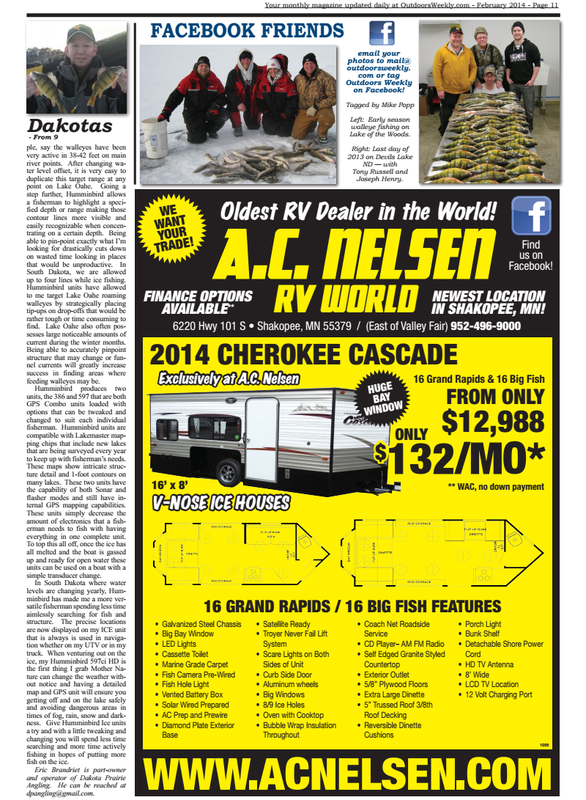 Here at Dakota Prairie Angling, protection from the elements is very important in making fishing more comfortable and ensuring that we protect our bodies from unwanted harm. We wear GUIDELINE EYEGEAR Polarized sunglasses because they are affordable, stylish, tough and protective! Remember do not to take your "Eye Protection" for granted and give GUIDELINE EYEGEAR POLARIZED SUNGLASSES a try! 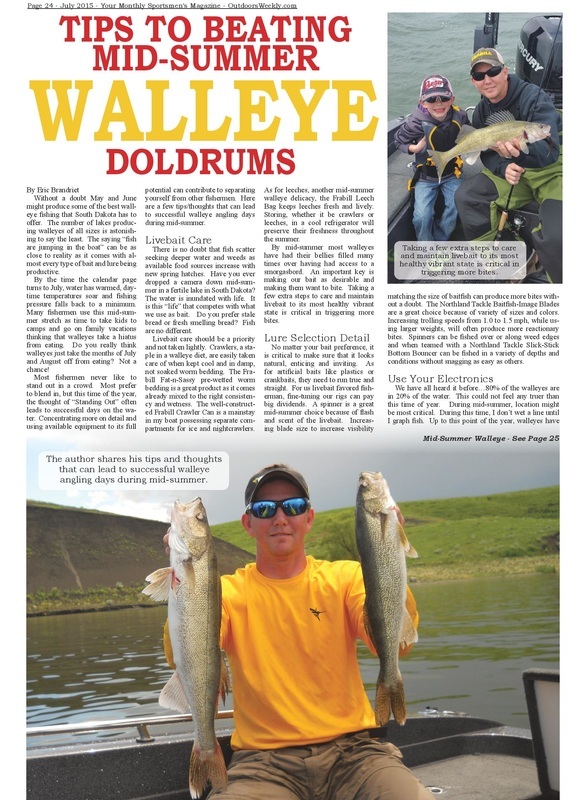 On the BIG Waters of Oahe! 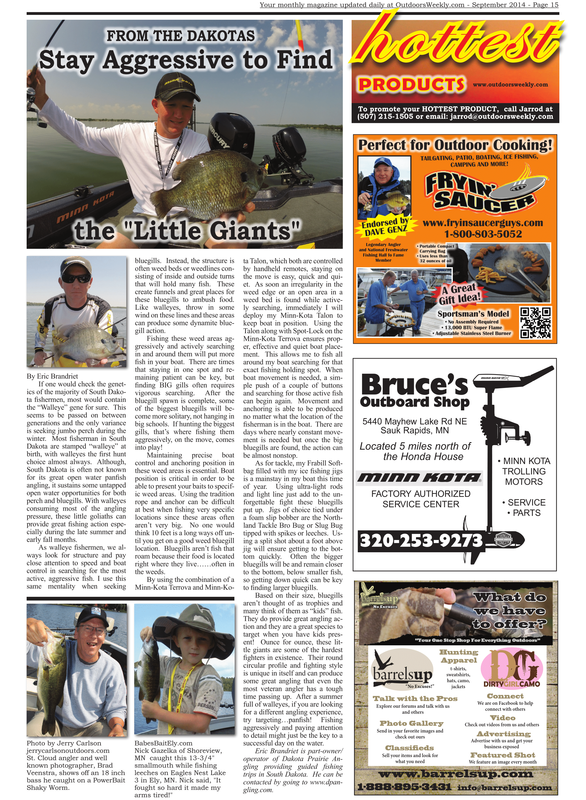 Recent Article about Show Filmed with Gary Howey's Outdoorsmen Adventures!